Have you ever wondered what would happen if you suddenly need to shift your home? The house we live in contains several items of daily use that keep on growing over the years. Sudden need to shift the house seems a herculean task because of the need to shift so many items together. Often it gets very difficult to shift all items at once due to lack of space or inability to carry so much around. For instance, a person relocating far away or to a smaller place like a flat may not be ready to take all the belongings at that moment. How about having a place to store all the belongings for a temporary period till you are ready to take all your items? Or how about having a place to keep your items stored away safely in case your house is getting renovated or you wish to start packing to relocate to a new house in a few months? Harrington Moving & Storage has the right solution for you to solve all these problems. It brings you convenient portable storage containers where you can safely and securely store your belongings for a temporary time period. 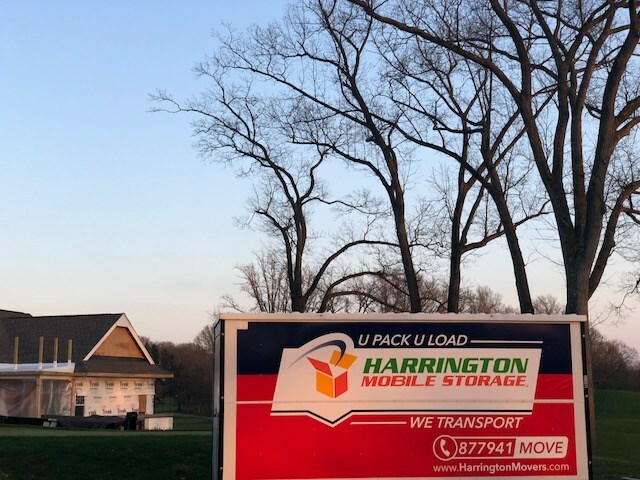 Harrington Moving & Storage has been providing options for relocating to people in New Jersey with convenient packing and storing. These portable storage containers are large and spacious enough to store personal property. These 16 feet containers are strong and durable to store and protect all your personal belongings at your preferred location in your property or in our secure warehouses. The time before renovation in the house or relocating to a different house is very stressful. But movers and packers help to take away the stress by providing you customized solutions as per your needs. For instance, you can choose to personally drop and arrange the belongings in the portable storage container unit or get experts to pack them and pick up or deliver them for you. When you are ready to take back your items you can ask for them to be delivered at your new location. The prices differ according to the services you are choosing. You can be completely assured about any furniture or heirloom that you would want to keep in the portable storage for lack of space immediately. The property will be taken care of like you would have taken care of it. Movers and packers also offer flexibility and convenience in the rental period and pricing. You can choose to keep it for the time period you have chosen. The rental periods are flexible and even if you wish to keep your belongings packed and stored for a longer period of time than decided, you are free to do so without suffering any harassment. Harrington Moving & Storage would be happy to deliver them to you at the time you feel convenient to ask them back. You can also be assured about security and provide your own lock or trust our locks. The pricing is also kept moderate keeping in mind the standard prices set by other contemporary movers and packers. On a whole, no matter whether you want to keep your cupboard or couch till you have space in your new or renovated house to take them back or whether you wish to keep away some items from your house or office in a place safely without cluttering your property, Harrington Moving & Storage has the right portable storage solution to solve all your problems.